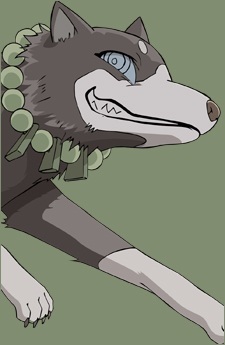 The Yukimura family's demon dog. He detects demons with his sense of smell. He is about 400 years old. He does not like men and is constantly insulting Yoshimori. Hakubi also enjoys teasing Madarao about having to serve a master (Yoshimori) with such pathetic skills. He constantly flirts with Tokine and likes to call her "honey."